I went up to Chama, New Mexico a couple of days ago, with my friend, photographer Steve Bundy and new friends Del and Paul Hollingsworth, to photograph fall colors and the trains of the Cumbres and Toltec Scenic Railroad. This beautiful 1920 Rolls Royce was one of several in town at the same time we were, and I was taken with the contrast of the white car and the black engine. Cool! I saw one of these in Taos Thursday then a whole Rolls rally heading south toward ABQ as I was driving back to Taos. Yikes! That is a crazy GREAT photo! 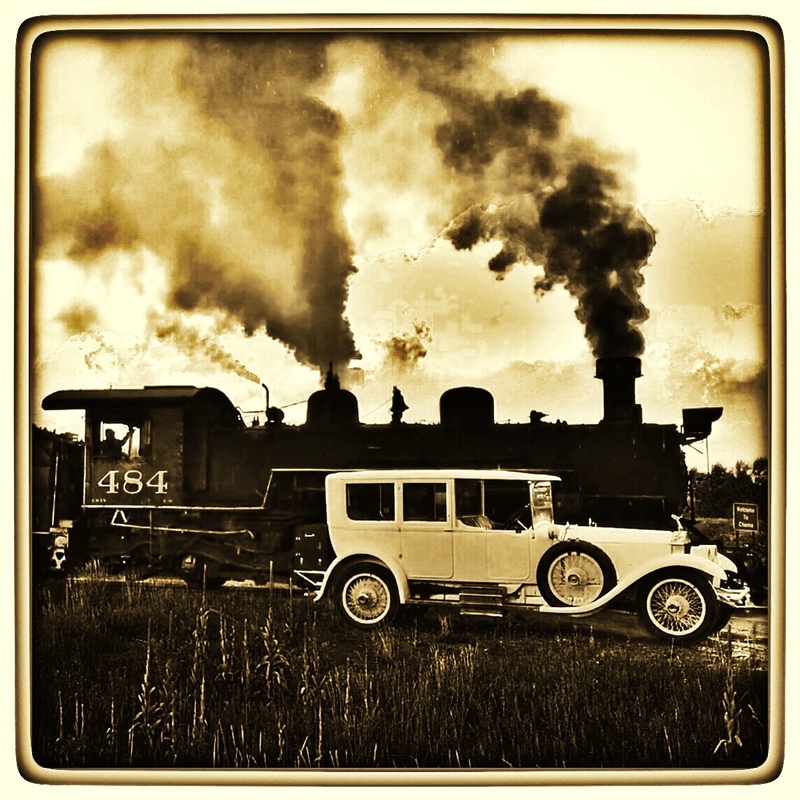 Remembering trains and cars. Love the car. Looks like new. Has been well cared for. Would be a lot of fun to be able to ride in both.